When you answer the phone, you sometimes know the person on the other end of the line is a scammer in the first few seconds of conversation. But if you're a T-Mobile customer, you might know before you even answer the call. 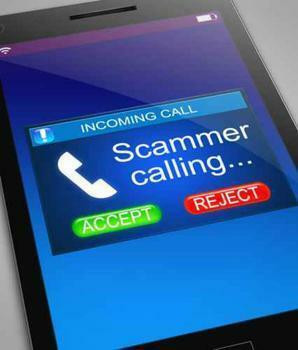 Thanks to a recently introduced, free feature from the mobile provider, your phone's caller ID will display the message "scam likely." The carrier says its Scam ID service flashes the warning when it sees an incoming call from a number used by a known scammer. It says the service works on all cell phones that have Caller ID. Consumers aren't required to install anything and it's provided on all post-paid plans. Last month T-Mobile expanded the service to all Metro PCS customers. A companion service, Scam Block, actually blocks calls from known scammers from ringing a customer's phone. It's available on all post-paid plans at no additional charge. Since launching in April, T-Mobile says Scam ID and Scam Block have identified or blocked more than 243 million calls and estimates the services have prevented more than $130 million in scams. “Scam ID and Scam Block are perfect examples of what the T-Mobile and MetroPCS are all about—we give you more without asking more from you,” said Mike Sievert, T-Mobile's chief operating officer. “These advanced protection technologies put our customers in control, and even better, they are totally free!" T-Mobile says it's also learned something about scammers' habits since it launched the new service. Most scammers, it says, like to work normal business hours, from 8 am to 5 pm, Monday through Friday. Peak time for scam calls is late afternoon. On average, it identifies a half-million scam calls per hour as the business day draws to a close. Scammers also try to hide their tracks by using a new number every few calls. Of over 500,000 scammer phone numbers the system identified, T-Mobile says only around 24,000 numbers repeatedly make scam calls.